Salafisomali is based at Somali. 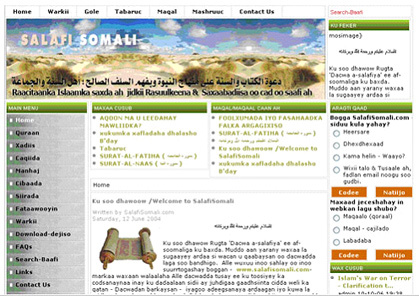 Salafisomali is developed in mambo, a widely used content management system. There is a facility to upload news, articles, audio and video files. Forums and News flash, banner management are the unique features of the applications. Donations are also accepted through paypal.